Acts as secretary to the head of a major division in either (1) a department headed by an elective official of the County of Los Angeles (2) a department headed by an appointive official who provides immediate advisory services to the Board of Supervisors, or (3) the Department of the Public Defender. All classes in the Secretarial Group perform duties composed of essentially the same basic activities and operations. Positions in these classes are allocated when the work of the supervisor requires full-time personal secretarial assistance. The level of secretary allocated is related primarily to the level of supervisor served. Typically, positions allocable to this class provide full-time secretarial assistance to the head of a major division or minor branch in either (1) a department headed by an elective official, which includes the Assessor, District Attorney, and Sheriff, (2) a department with an appointive head who provides immediate advisory services to the Board of Supervisors, which includes the Chief Executive Office, Director of Personnel and County Counsel, or (3) the Department of the Public Defender. Replies to both verbal and written communication. Screens office callers and telephone calls, furnishes requested information, refers calls to others better qualified, and personally takes care of those calls which do not require the attention of the supervisor. Makes appointments and arranges conferences and meetings for supervisor. Acts as intermediary between supervisor and staff, transmitting messages, orders, and requests, both written and verbal, and when authorized acts in the supervisor's absence. Acts as liaison officer between the supervisor's office and other departments, agencies, and jurisdictions. Prepares inter-office notices, bulletins, and memoranda, with or without dictation, including interpretations of departmental policy and the laws and regulations governing the activities of the office. Gathers data for general information purposes or special reports, contacting other departments, employees, agencies, and individuals for additional material as necessary, and may prepare reports for supervisor's approval upon request. Checks material being submitted for supervisor's attention to ascertain that all relevant data, files, signatures, etc., are included. the Chief Executive Office, Department of Human Resources, and other departments. Keeps check on the execution of plans, improvements, and projects instituted by the supervisor and recommends improvements in departmental procedures. One year of highly responsible secretarial experience at the level of Los Angeles County's class of Secretary V*, Senior Secretary III*, Senior Secretary IV*, Management Secretary I* or Management Secretary II*. 2 - Light. Involves light physical effort which may include occasional light lifting to a 10-pound limit, and some bending, stooping or squatting.Considerable walking may be involved. Typing Rate: 40 net words per minute. *All classes in the Secretarial Group perform duties composed of essentially the same basic activities and operations. Positions in these classes are allocated when the work of the supervisor requires fulltime personal secretarial assistance. The level of secretary allocated is related primarily to the level of supervisor served. A Secretary V acts as a secretary to the head of a major section in either (1) a department headed by an elective official of the County of Los Angeles, (2) a department headed by an appointive official who provides immediate advisory services to the Board of Supervisors, or (3) the Department of the Public Defender; orcomparable. A Senior Secretary III acts as secretary to the head of a major division in a large and complex County department, orcomparable. A Senior Secretary IV acts as secretary to the head of a major division in a very large and complex County department, or comparable. A Management Secretary I acts as secretary to a deputy director in a small County department, or comparable. A Management Secretary II acts as secretary to a deputy director in a medium-sized County department, orcomparable. A small County department has less than 200 employees. A medium-sized County department has between 200-900 employees. A large and complex County department has 1000 or more employees. A very large and complex County department has over 10,000 employees. Part I:A qualifying typing performance test. a) Those candidates who, in the service of the County of Los Angeles, currently hold or have held a typing position that meets the minimum typing skill requirement of the subject examination. b) Candidates who have taken and passed a Los Angeles County typing performance test administered by a County Department that meets the minimum typing skill requirement of the subject examination. Applicants must attach a copy of the typing certificate to their application at the time of filing or submit within 15 calendar days of filing. c) Candidates who possess a Certificate of Typing Proficiency issued by the Department of Human Resources (DHR) or issued by an organization with an established partnership with DHR such as the Los Angeles Unified School District that meets the minimum typing skill requirement of the subject examination. Applicants must attach a copy of the typing certificate to their application. Candidatesmust achieve a typing proficiency of 40 net words per minutein order to advance to Part II. Applicants who have taken identical test parts for other exams within the last twelve (12) months will have their scores for the identical test part(s) automatically transferred to this examination. This examination contains test parts that may be used in the future for new examinations. Upon acceptance of your application, your scores may be transferred to the new examination and you may not be allowed to retake any identical test part(s) for at least twelve (12) months. It is important that you provide a valid email address. Applicants who do not pass the typing test and multiple choice test will be notified by U.S. Mail. Scores cannot be given over the telephone. Applicants must meet theSelection Requirements, pass the qualifying typing performance test, and receive a passing score of 70% or higher on the weighted part of the examination in order to be placed on the eligible register. Invitation letters to the typing test and multiple choice testwill be sent electronically to the email address provided on the application. It is important that candidates provide a valid email address. Please add oarteaga@hr.lacounty.gov and info@governmentjobs.com to your email address book and list of approved senders to prevent email notifications from being filtered as spam/junk/clutter mail. The names of candidates receiving a passing score in the examination will be placed on the eligible register for a period of six (6) months. The eligible register resulting from this examination will be used to fill vacancies in the Sacramento Advocacy Officeof the Los Angeles County's Chief Executive Office located at1100 K Street, Suite 400, Sacramento, California 95814. Applications must be filed online only. We must receive your application by 5:00 p.m., PT, on the last day of filing. Applications submitted by U.S. mail, fax, or in person will not be accepted. Fill out your application completely. The acceptance of your application depends on whether you have clearly shown that you meet the SELECTION REQUIREMENTS . Provide any relevant job experience in the spaces provided so we can evaluate your qualifications for the job. For each job held, give the name and address of your employer, your job title, beginning and ending dates, number of hours worked per week,anddescription of work performed. If your application is incomplete, it will be rejected. Please note that ALL information included in the application materials is subject to VERIFICATION at any point during the examination and hiring process, including after an appointment has been made. FALSIFICATION of any information may result in DISQUALIFICATION or RESCISSION OF APPOINTMENT. Utilizing VERBIAGE from Class Specification and Minimum Requirements serving as your description of duties WILL NOT be sufficient to demonstrate that you meet the requirements. Doing so may result in anINCOMPLETE APPLICATION and you may be DISQUALIFIED. 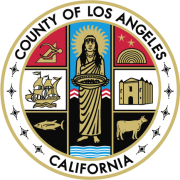 The County of Los Angeles is a Fair Chance employer. Except for a very limited number of positions, you will not be asked to provide information about a conviction history unless you receive a contingent offer of employment . The County will make an individualized assessment of whether your conviction history has a direct or adverse relationship with the specific duties of the job, and consider potential mitigating factors, including, but not limited to, evidence and extent of rehabilitation, recency of the offense(s), and age at the time of the offense(s). If asked to provide information about a conviction history, any convictions or court records which are exempted by a valid court order do not have to be disclosed .